Last week was ultimately disappointing for our short term bets although Sergio Aguero did at least score a brace to put our long term bet onside. This week we will continue to look for value in the first goalscorer market using the stats provided by Inside FPL. Looking at the numbers from last weekend the standout performance was by Frank Lampard for Chelsea at West Ham. Lampard played 90 minutes and had a total of 7 open play shots (1 goal) to go along with his converted penalty. This is in marked contrast to his early season performances where his expected goals per 90 minutes was far down on last season’s rate. It was notable at Upton Park that playing in a midfield trio alongside the more defensive John Obi Mikel and Ramires allowed Lamps far more freedom to get forward than when he himself has to play one of the two holding roles. Lampard is a tempting 9/1 (Bet365, BetVictor) to score first this weekend at home to Southampton. Unfortunately, Chelsea’s insipid midweek display in Basel may well cause Jose Mourinho to reshuffle his midfield pack – this is one to wait for team news before pulling the trigger. A key injury for bettors and Fantasy FPL players alike this week was the fractured toe suffered by Everton’s Leighton Baines. Under David Moyes, Baines was undoubtedly Everton’s key player with goals and assists galore, but it would appear that Baines’ influence is waning under Roberto Martinez. Analyst Colin Trainor at the excellent Statsbomb website pointed out last week that his key passes are down from 2.85 per 90 minutes to only 1.18. With this in mind I have much more confidence in backing man-mountain striker Romelu Lukaku to open the scoring this week than I would previously. The Belgian’s supply line is not as reliant on Baines as many may expect and Everton seem to have a ready-made set piece replacement in Kevin Mirallas (Lukaku’s headed goal last week was from a Mirallas corner). It is also worth noting that penalty taking duties are now up for grabs and he seems a leading candidate for that role. 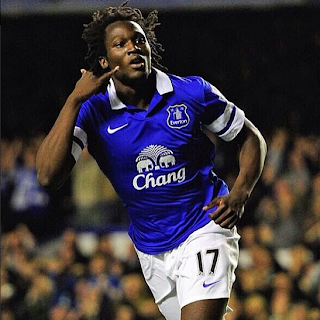 Let’s make Lukaku our first definite bet this week at 5/1 (Bet365). Finally, Chris Hughton is under increasing pressure at Norwich City but will be confident of getting a result at home to Crystal Palace on Saturday. Creating goalscoring chances remains a problem for both sides so a single goal may well be enough to win this one. The Inside FPL season to date ratings show that the player with the highest expected goals for Norwich this season is midfielder Leroy Fer. The Dutchman also has 2 in his last 2 games so let's back him to open the scoring here at 12/1 (Bet365). That’s all for this week, although if anyone has any questions about any games I haven’t mentioned feel free to ask. Good luck!